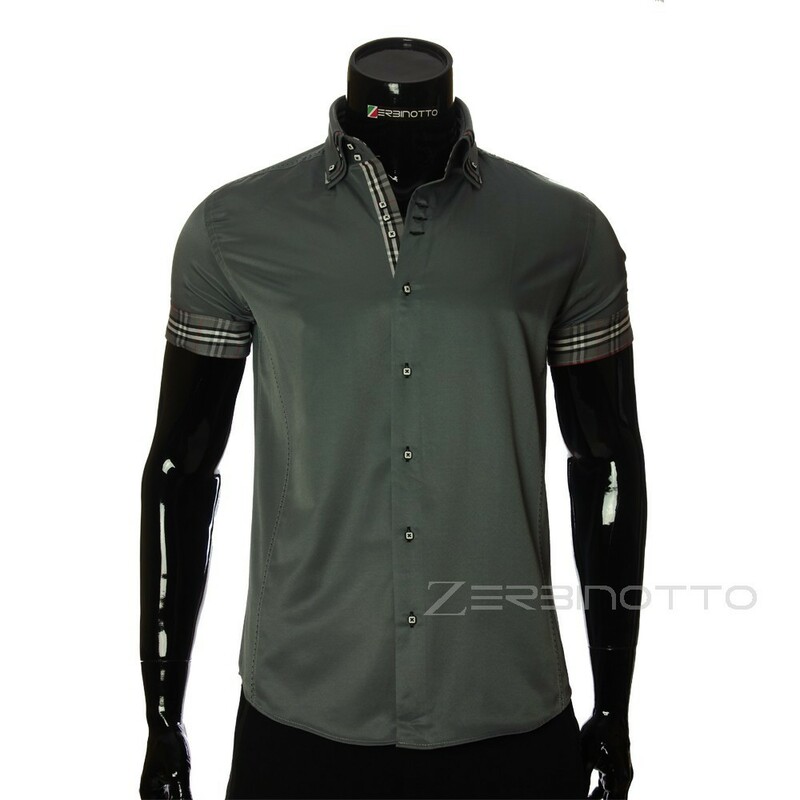 Men`s brand shirt grey color with triple collar and short sleeve. 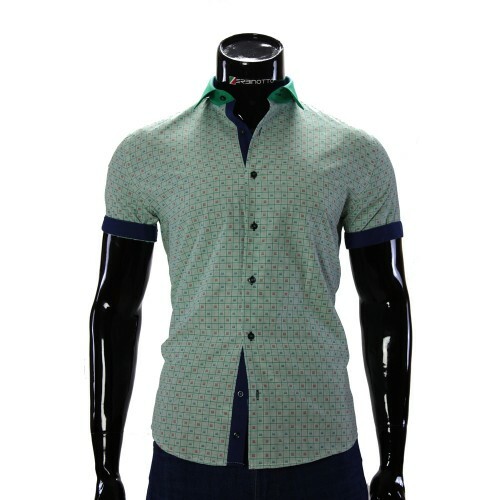 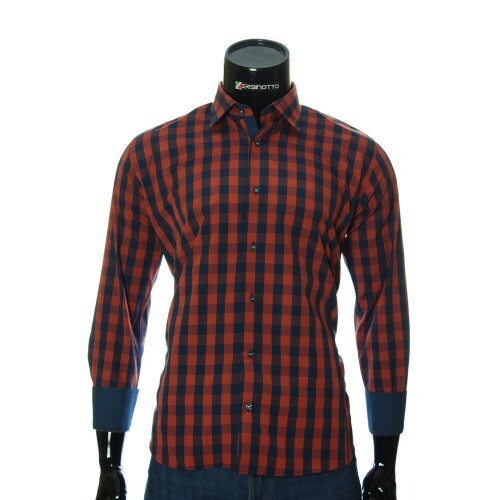 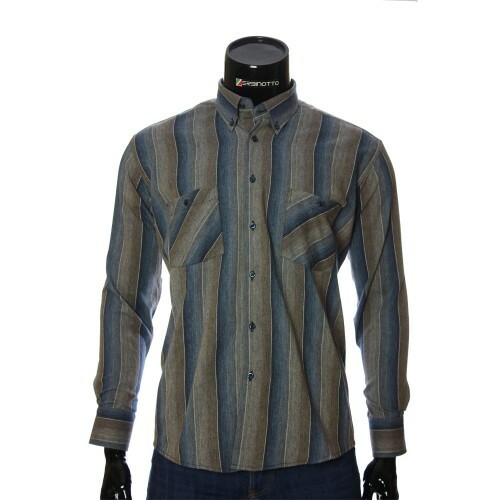 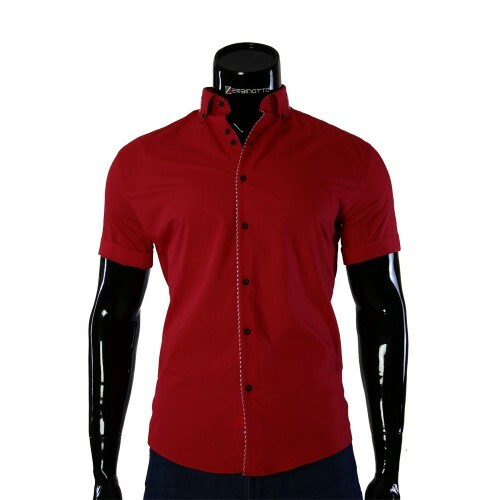 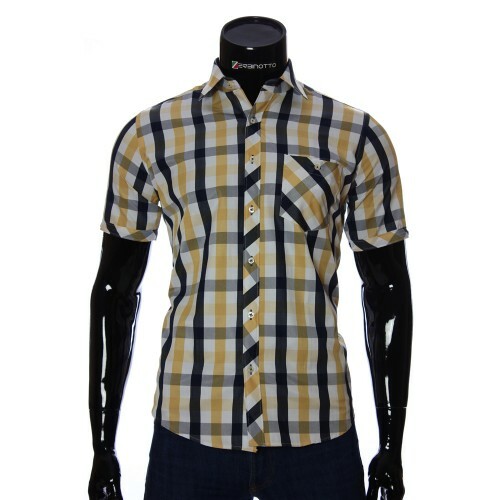 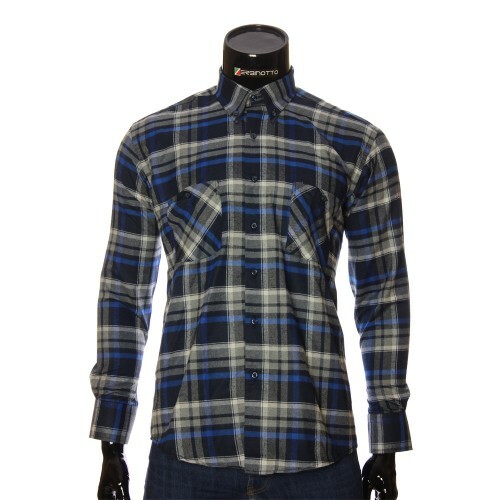 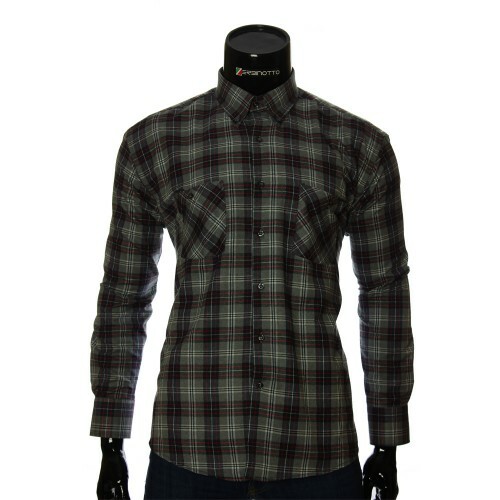 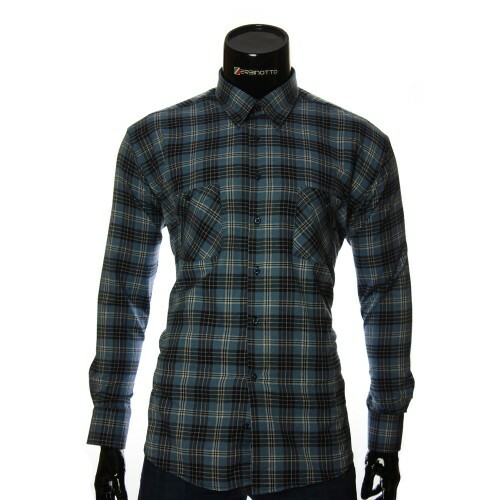 Stylish men's shirt fitted with a short sleeve. 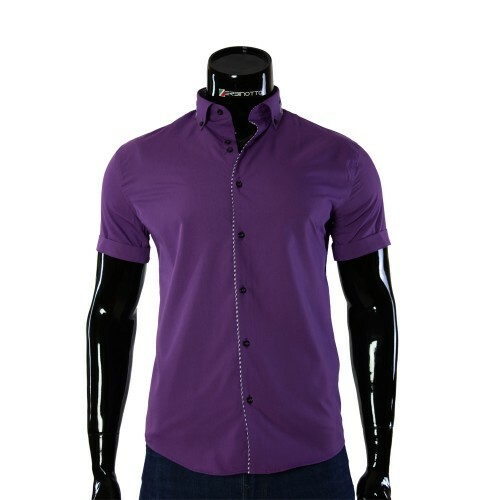 The shirt is made in monophonic color. The collection of the shirt Mario is created using such fashionable details as a triple collar with buttons and double-sided cuffs on the buttons. Along the shirt, as a decoration, sewn a stroke line. The stand collar is triple on buttons. The line of buttons on top is filled with three buttons. The inner sides of the collar and the lines of the buttons are marked with insets.